My collegiate career got off to a rocky start. Back in August 2002 I showed up to Cal State-Northridge only to have my coach, the man I had moved more than a thousand miles to work with, resign. The next six months were filled with ups and downs before I decided to transfer a few months before the school year ended. 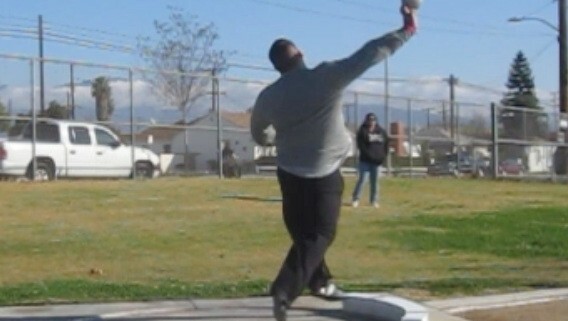 At that point, the recently graduated shot putter Nick Garcia took me under his wing to finish out the season. He helped write a training plan that led to a five-meter improvement. He offered me lifting facilities. And he offered me work as an assistant for his hammer wire making business in John Godina’s garage. I learned a lot about training from him and even more about dedication. With this in mind, I was happy that he called me a year ago to ask a few questions about Bondarchuk. Finally I had a chance to return the favor. This training talk is also a case study in converting to a training system based on the teachings of coach Anatoliy Bondarchuk. 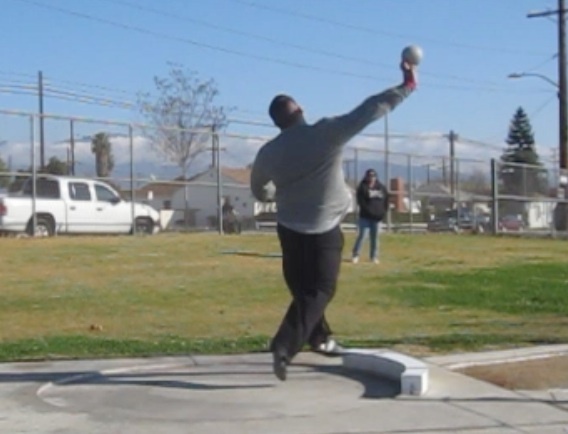 Nick has been training now for one year under this system and I figured it was a good point to get his feedback on the transition and also provide a shot putter’s point of view to counterbalance my hammer throw commentary. Are there any videos of Nick throwing? I can’t find any. i can send you one. Thanks Nick. Send it to boshko.s@hotmail.com if it’s not too much trouble. weight room and sets included . i always read a lot about coach B’s philosophy but never seen on paper or a yearly plan .